Aware of the environment and of human beings, Olivia Clergue has chosen to produce in her own country in order to avoid pollutant and greenhouse gas emissions, but also to benefit from craftsmen with ancestral knowledge, who work in good conditions. Leather are selected from the best Italian and French tanneries and chosen to comply with European regulations, which impose the strictest requirements for every aspect of the production process in order to be environmentally friendly. 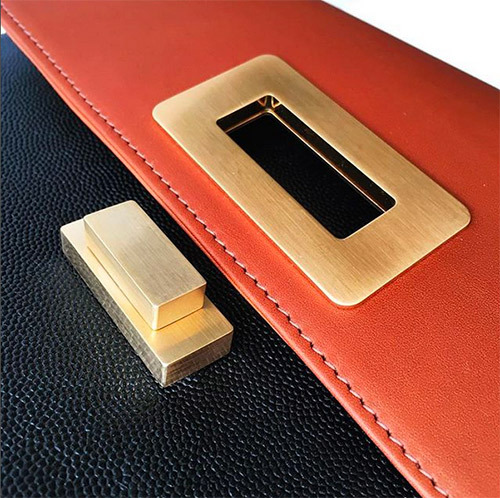 The hardware is made especially for Olivia Clergue in Italy, with ecologic brass, that is lead-free and environmentally friendly. It is then gilded with 24 carats gold, polished to obtain a brushed finishing, and finally varnished to avoid oxidation. Zippers are from the Swiss brand Riri, whose pursuing of ethical attention to the environmental and social impacts is a key element of their approach, based on quality and uniqueness. Designed in the Parisian studio of Olivia Clergue in le Marais, the bags are later tested in the form of prototypes, before being validated and finally produced in small quantity by the manufacturer. 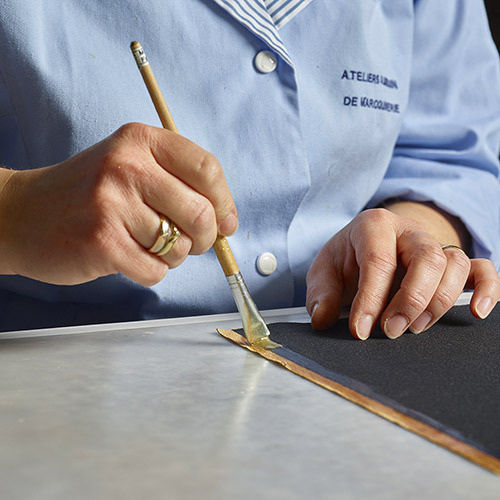 To this end, Olivia Clergue chose a family company based in the Anjou region, which allows her to stay close to her manufacturer and to follow the finishing. 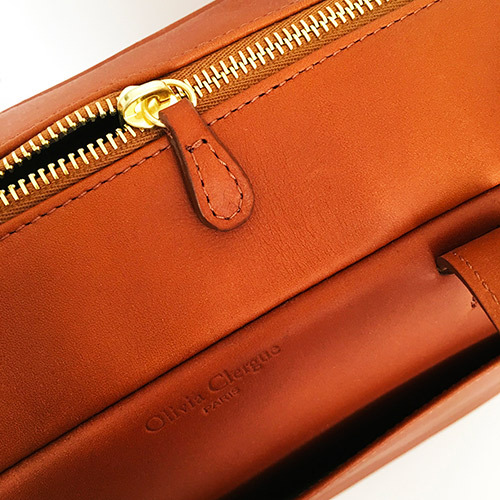 Exclusively made in France, bags Olivia Clergue represent the timeless values of elegance and responsible luxury at their best and stand by their original and trendy style.